Services are one hour minimum unless redeeming a voucher for a lesser amount or the service is part of an agreed wellness plan. Give someone you know some well deserved time out! – 8 x 1 hr treatments (normally $720) pay only $600. – 4 x 1 hr treatments (normally $360) pay only $320. 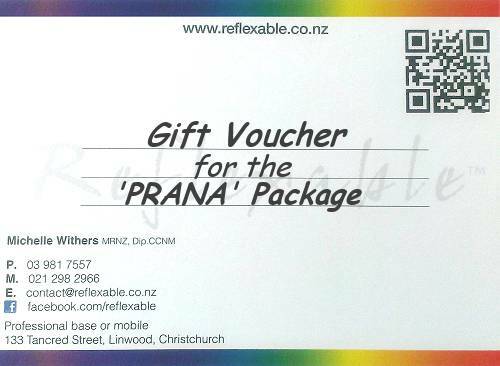 Get in someone’s good books and solve your gift worries by showing them you care with a voucher. These are available from $90 to any amount and can be redeemed on all products and services. They can be emailed, posted or collected but are not automatically sent to you as they are ‘made to order’. I contact you to determine what best suits you and any special wording you would like after you have purchased the voucher here unless you have got in touch another way. – 90 minutes tailored reflexology and reiki treatment $130. For those ready to change where they are at in a measurable, supported way. First Session (1.5hrs) – Wellness Consultation including pH test & gut health baseline. 6 hours of sessions as will be planned with you to get the most out of your commitment. Last Session – (1.5hrs) – Re-evaluation, celebration & recommendation of what else is possible.